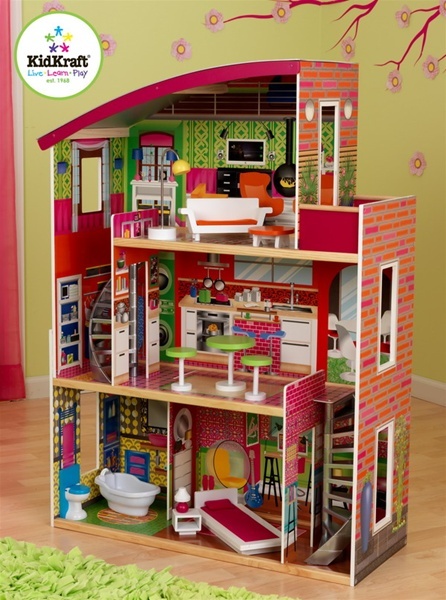 3 Story Wooden Dollhouse & Furniture Set. Wood Construction with Furniture Set Included. 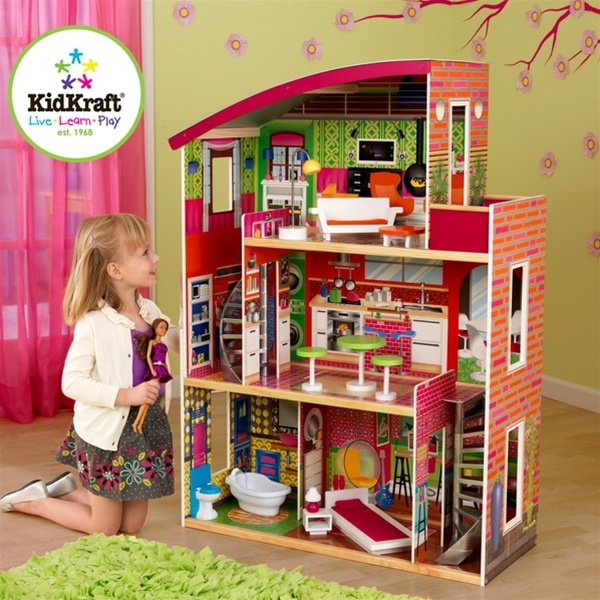 The KidKraft Designer Dollhouse is full of stylish details like a curved roof design, two spiral staircases and hip artwork in every room of the house. 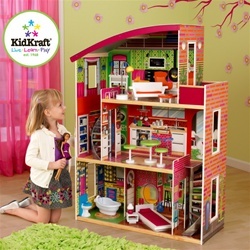 Young girls are sure to love moving the furniture pieces around from room to room of this precious dollhouse and being their very own interior designer. Perfectly sized for popular dolls including both the Barbie and Bratz line! Multiple rooms including a living room, bathroom, kitchen and dining area, bedroom, patio and more.